In 1086 the Domesday book noted that Picot, the sheriff of Cambridge, held land – 7 ½ hides (900 acres) – in Harston. The land changed hands a few times through the Pecche family and eventually in 1274 the manor was sold to Sir Robert Tiptoft and from then on was known as Tiptofts Manor. In 1279 the manor house stood in a 3 acre close SE of the church and included a chapel, a chamber and a kitchen. From 1279 -1493 the estate was held by Tiptoft male heirs, who may not have lived there, but often a widow or second husband of a widow held it and lived there for life (eg Sir Thomas Vere and Sir William Stanley). From 1493 to 1600s it was held jointly by a number of heirs after the male line died out. From 1560-1580s they sold or leased the estate to John Duckfield, a Harston Yeoman who died in 1584. John Duckfield’s two daughters and their heirs eventually sold the estate in 1613 to Thomas Wale (D:1617). The Manor passed down through the male Wale line but tenants occupied the Harston Hall manor, which dated from the early C18th century (on the site of the former Tiptofts manor). 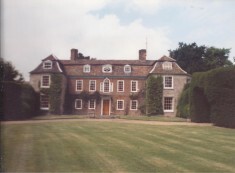 The Wale family lived mainly at Little Shelford. A monument was built for Gregory Wale on Maggots Mount when he died in 1739. 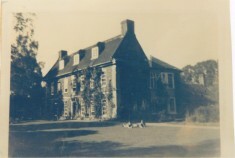 The Wale family (of Little Shelford) held, usually with tenants, Tiptofts Manor until 1802 (after the 1799 inclosure) when Charles Wale sold the Manor with 390 acres to Rivers Taylor, tenant of the Harston Hall Farm since the 1770s. It passed down through the Taylor family then by marriage to Rowleys who sold off and broke up the estate by 1951. Rowley’s Hill named on 1901 map was presumably named after one of them. Harston Shadworth has its lands to the centre and east of the village with the present Harston House being on part of it. The manor land was derived largely from an estate held of Barnwell priory which Picot had given the church before 1100. Before 1200 the church granted Alan of Harston the land as ½ knights fee and several generations of his descendents held it till 1314 under the honor of Peverel. Around 1310 the manor house included a hall and solar, the lord’s chamber and a great wardrobe. The site was called the Hall Yard about 1435 when the house had gone. After 1450 it was occupied by a dovecot and orchard but its position is uncertain – the Old Manor House on High St is a supposition. The estate was held by 1314 by Judge Robert of Madingley who died in 1321 and by his daughter and husband until 1375. In 1387 John Shadworth, a London Mercer held some of the land until the mid 1420s; the colleges received the rest. By 1428 it belonged to John, Lord Tiptoft, and descended with the Tiptofts Manor until 1485. It passed from Tiptoft heirs by marriage to the Lovell family until 1585 when it was sold to Christopher Fletcher. It was sold numerous times until 1733 to Baltzar Lyell (D:1740) whose son Henry (D:1803) was allotted 72 acres at inclosure. Through Henry’s daughter Catherine that estate came, until 1900, to the earls De La Warr. The land was for sale in 1886. The manorial rights, acquired in 1900 by the jam maker John Chivers, passed after 1907 to a solicitor, S.R. Ginn, lately a steward. By 1900 Hurrells had bought the Shadworth 72 acres. In 1086 1 ½ hides (180 acres) was held by Ranulf of Robert Gernon and Lordship over it passed to descendents of Ranulf. Adam of Harston acquired 40 acres before 1207 and passed an estate to his son Richard of Stonehall (D:aft 1253), whose descendants had 92 acres in 1305. Stonehalls was apparently held by several heirs from 1360s-1400s and from 1411 by Sir John Felbridge of Norfolk (D:1423). In about 1630 Stonehalls’ manor was divided between two sisters – Catherine Swan, a widow and Elizabeth, married to Richard Adam, who left it to his son Richard in 1637. In 1798 Edward Green claimed to own Stonehalls reputed manor and its manor house site. The 1¼ hide (150 acres) possessed in 1066 by four sokemen under Eddeva & by a priest was by 1086 held of Count Alan of Richmond by Odo his chamberlain. Its lordship probably passed down through Odo’s son and grandsons until 1191 when their rights were divided up by co-heirs and the estate was fragmented. Until after 1800 about 70 acres in Harston (possibly around Maggots Mount) remained copyhold of Mortimers manor in Foxton . From about 1200-1344 the Clement family held some of the land but by 1356 William Boteler held the land and from 1360s-1381 by Margaret Boteler. By 1424, however, it belonged to John, Lord Tiptoft and passed down through his relatives. In 1560 John Duckfield acquired it and passed it to George Duckfield, a Harston Yeoman (D: by 1614). It passed down through several generations of Duckfield clergymen in Hauxton until 1702. It was then combined with more land and sold around 1767 to Edward Chapman, later Green of Cambridge (D:1779). His son Edward (D:1804) claimed at inclosure to own Botelers manor and 241 acres including 115 acres of copyhold in Harston, Newton & Hauxton. He emerged with about 230 acres, which descended to his son Edward Humphreys Green de Freville of Hinxton (D:1868), then to the latter’s cousin Edward Henry, who sold the land in 1886. 100 acres north of the village went to John Ives (D:1897). As part of the Ives’s Beech Farm (210acres) they were resold in 1900, and bought in 1926 by Jesus College, still the owner.